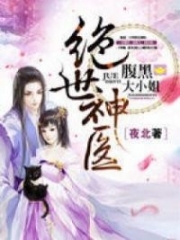 You’re reading novel Yin Xiaomei The Bad Girl Chapter 5 Part1 online at LightNovelFree.com. Please use the follow button to get notification about the latest chapter next time when you visit LightNovelFree.com. Use F11 button to read novel in full-screen(PC only). Drop by anytime you want to read free – fast – latest novel. It’s great if you could leave a comment, share your opinion about the new chapters, new novel with others on the internet. We’ll do our best to bring you the finest, latest novel everyday. Enjoy! Mao Ruiying rushed over and pulled Yin Xiaomei away. She was facing the panicked face of the Song Yuan. “Good ah! dare Eating in the Cla.s.s! ” She glared at her sullen eyes. Song Yuanyuan squatted and looked at Yin Xiaomei with pity. “Teacher, today is the first day, she doesn’t know the Rules!” Yin Xiaomei immediately helped. The First rank….? Yin Xiaomei was chilling, how this name is so contrast with her, it can be called in a battle of the bandits! However, Mao Ruiying nodded with approval and left the food with the big bag. Song Yuan rounded her mouth, her face was frustrated, rough little finger to pull the table, the grievance was speechless. “it’s All right!” Xiaomei comfort her, ” be Careful next time Ah! “. She looked at Lin Di, not far away, and could not help but feel helpless. She is type person who loves to make small reports is very troublesome. She found an excuse to go to the teacher’s office. She saw the owl (Teacher Ruo) rummaging through food, and her mouth was full of food. Sure enough, she did not expect that she will eaten it herself, and said that she was so righteously. She grinned dissatisfied. This owl, Xiaomei should give her some good education. “Why you know that Ah.” XiaoMei was surprised she knew so clearly. “Xiaomei, Please answer this question.” The gentle male voice sounded, and Yin Xiaomei was shocked. G.o.d, is she stepping on the s.h.i.+t today? Why he is pointing at her. She couldn’t help but lament the amazing memory of these teachers. How could he remember her name, when he only call her once? Or is it because She wearing a very flashy pink today? She stood up at the speed of a turtle, and her expression was more frustrating than the Song Yuanyuan on the side. “Next time Listen carefully.” The teacher motioned for her to sit down. Yin Xiaomei bitter face and pouted. Unfortunately, She must learning with this teachers for this semester. Lin Di stood up, and did not even change her breath. Xiaomei looked at her very worriedly. Did she won’t be suffocated? “Lin di is…very good.” Teacher Li couldn’t help but feel a little ridiculous for the little girl’s pa.s.sion. But Lin, who was praised, was very excited. She looked back sneering at Yin Xiaomei. Ei ei ei ei this is? XiaoMei has been in a bad mood suddenly realizes it, Why does she always look at her?Is it about showing off to her? Although she do not understand how suddenly she became her imaginary enemy. But Xiaomei suddenly had a feeling of excitement about her opponents – she had never met someone who dared to take initiative to provoke her people eh! Normal children would be afraid of her. She thinks she is cool and smiled, If you have some ability just bring it on ah! I’m not Afraid! “No!” Xiaomei still kept the twitching smile, and the eyes was gaze to Lin Di. Teacher Li only felt that there was an infinite black line on this two little girl head. This two girl seems have electrical out from their eyebrow? By 3 p.m, a group of students came out to the schoolyard like locusts. Xiaomei saw Zhang Bo waving with excitement and immediately jumped up. “Zhang Bo!” The little girl flew past, monkey-like girl suddenly slammed on him. “I Miss You”. only One day, but it seems that she haven’t seen Zhang Bo for a long time. 1) Thanks to Arutia, Etereal, Lancey, Ayanna .o((*^▽^*))o I’m happy working together with them. 2) I’m sorry if i get mistranslated in some part, I’m not native both English and Chinese. I Already try my best. And I already get help for editing so it’s better read it after get edited. – Bad Girl Xiaomei is every 2 days. – Empress Dowager is Every 2-3 days. 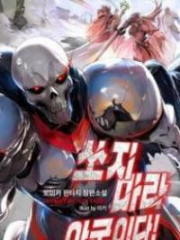 You're reading novel Yin Xiaomei The Bad Girl Chapter 5 Part1 online at LightNovelFree.com. You can use the follow function to bookmark your favorite novel ( Only for registered users ). If you find any errors ( broken links, can't load photos, etc.. ), Please let us know so we can fix it as soon as possible. And when you start a conversation or debate about a certain topic with other people, please do not offend them just because you don't like their opinions. 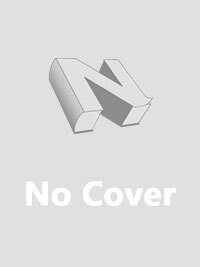 You're reading Yin Xiaomei The Bad Girl Chapter 5 Part1. This novel has been translated by Updating. 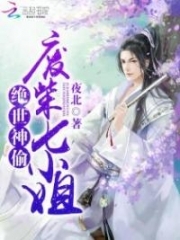 Author: Gui Dou, 鬼斗 already has 458 views. Current Time is Apr-19-2019 13:15:50 PM.